There is seems to be a lot of waiting in the life of my smallest child at the moment. Waiting for his siblings dance class to end, waiting for the school bus to come, waiting for pizza to be ready, waiting till we get to Nanny’s house. So much waiting! And waiting is a lot more bearable when you have something fun to do, so let’s come up with some fun things to do! 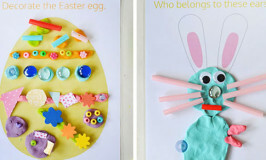 Let’s make an easy DIY wipe clean activity board and some fun activity pages. This DIY wipe clean activity board couldn’t be easier to make and it’s the perfect travel sized dry erase board! Simply feed the empty laminating pouch into the laminator to make a clear plastic sheet. Then clip the clear sheet to the clipboard and you are done. 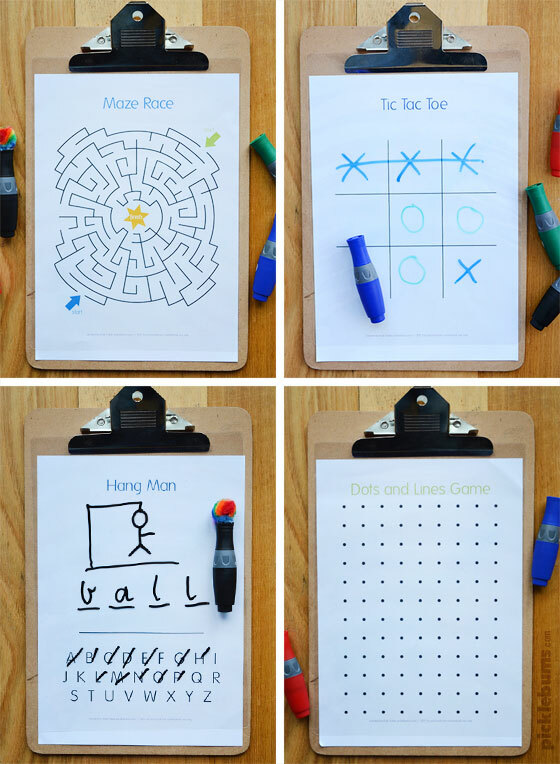 Grabs some dry-erase markers or crayons to use and something to clean off the board. We glued a pom-pom to the cap of one of our markers, but a wipe or a piece of material work well to clean off the board too. You can just slip a sheet of plain paper under the plastic to turn it into a whiteboard, or use one of our free printable activity sheets. 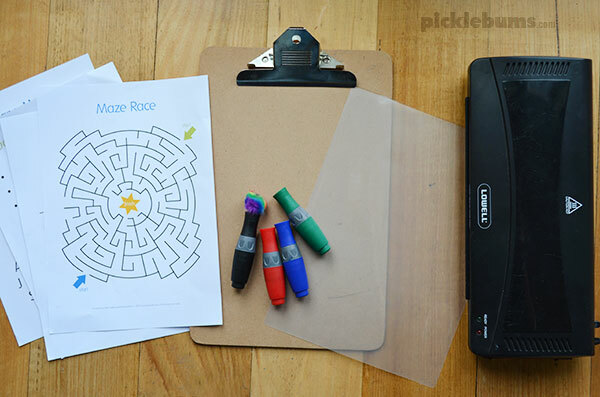 We made four classic paper and pen games into reusable activity sheets. 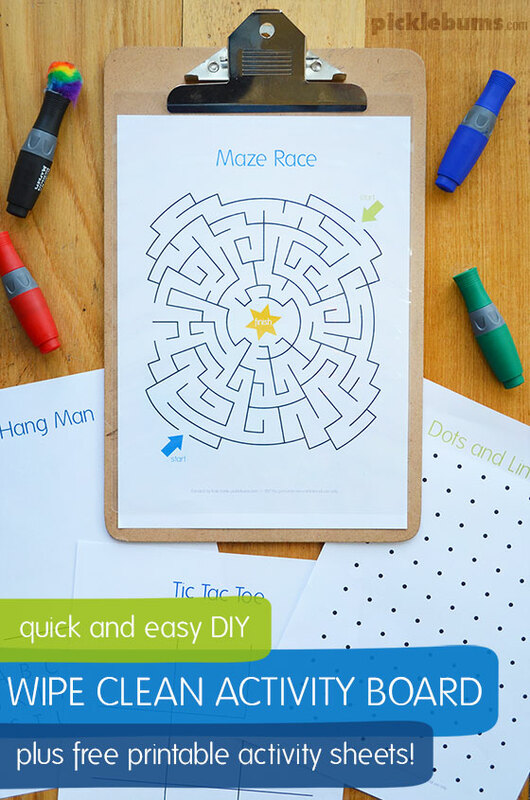 There is good old tic tac toe, hangman, a dots and lines game (I call this game ‘paddocks’), and a fun maze race – start at either side and see who gets to the star first! You can download these free printable activity sheets here. 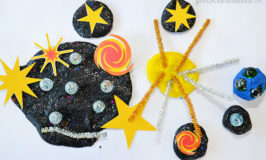 What else can you use with this wipe clean activity board? As well as these fun and simple activities you can also use this simple DIY wipe clean activity board with lots of our other printables. And now when my boy has to wait, at least we have something fun to do! How do you keep your kids happy while you wait? With so much whining… ahem… I mean waiting I am always on the lookout for simple, fun, ideas we can do in the car or quietly in a waiting room. If you’ve got some great ideas I’d love you to share them with me! Leave a comment below and let me know how you manage the waiting! These are great. I cheated and put mine in sheet protectors. I’ll laminate next time I do book covers. Kids love them.